The unique geology of Southwest Florida makes it one of the safest places in the country for oil production. 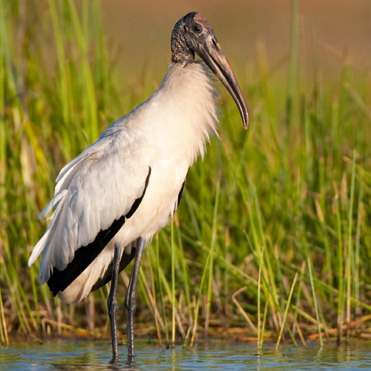 Oil production in Southwest Florida has occurred for over 70 years in a safe and environmentally-sound manner with no adverse impacts on water quality. 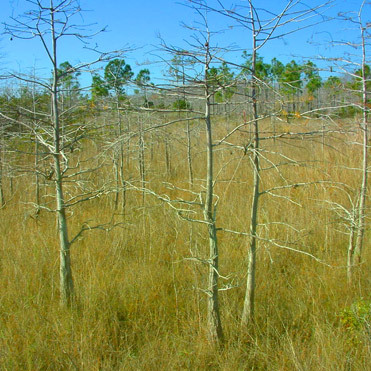 A combination of factors account for this positive record, including stringent environmental regulations and the unique geological formation in Southwest Florida. 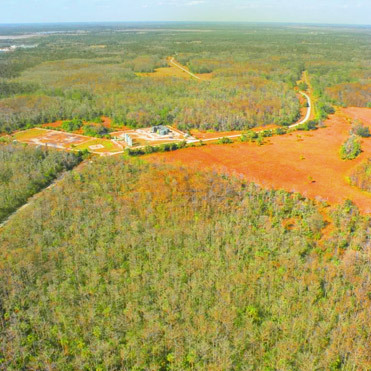 The oil reservoirs in Southwest Florida (known as the Sunniland Reservoir) are extremely deep underground, between 11,300 to 12,000 feet. The Underground Source of Drinking Water (USDW) and the shallower aquifers with drinking water are physically separated from the oil production zone by more than two miles of non-potable water (water which is not drinking water quality). In addition, what lies between the aquifer and the oil producing zone are no fewer than seven geological formations of anhydrites interlayered with a variety of rock formations. In particular, the anhydrite formations are impermeable zones, which act as confining units, and vary in thickness from several hundred feet to more than a thousand feet. Under these conditions, it is not possible for the limited volume of fluids that may be injected during a stimulation procedure in to the oil bearing formation to “bubble up” through the multiple layers of impermeable formations. According to published studies, fractures and faults do not exist in the Sunniland Formation, which is the primary source and oil bearing formation associated with major oil production in Southwest Florida. If natural fissures, fractures, or faults existed in this formation, the oil would not be trapped in the Sunniland Formation, and it would have already migrated vertically over geologic time; thus, it can be inferred that, because oil is confined to the Sunniland reservoir, pathways for vertical migration of fluids (fissures or faults) do not exist. In addition to the multiple confining anhydrite formations between the aquifer and the oil reservoir formation, there is a formidable barrier known as the Boulder Zone. The Boulder Zone is hundreds of feet thick, and it is a confined and highly-permeable formation composed of rock with cavernous openings that underlies all of South Florida; and, due to its unusually high permeability and high salinity (meaning non-potable), it is essentially an underground body of saltwater. 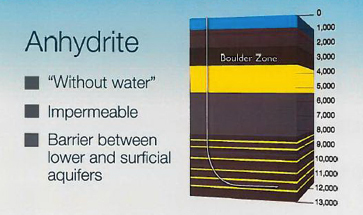 The Boulder Zone is currently used to dispose of tens of millions of gallons daily of municipal and industrial wastes because of its unique hydraulic characteristics and isolation from the overlying drinking water aquifer. Interestingly, it is sealed from the overlying drinking water aquifer by one of the confining anhydrite formations. On a daily (if not hourly) basis, the volumes injected into the Boulder Zone through injection wells eclipse the volume of fluids injected during the entire time to drill an oil well. If production fluids hypothetically reached the Boulder Zone, which they can not, they would be rapidly diluted by this body of saltwater. 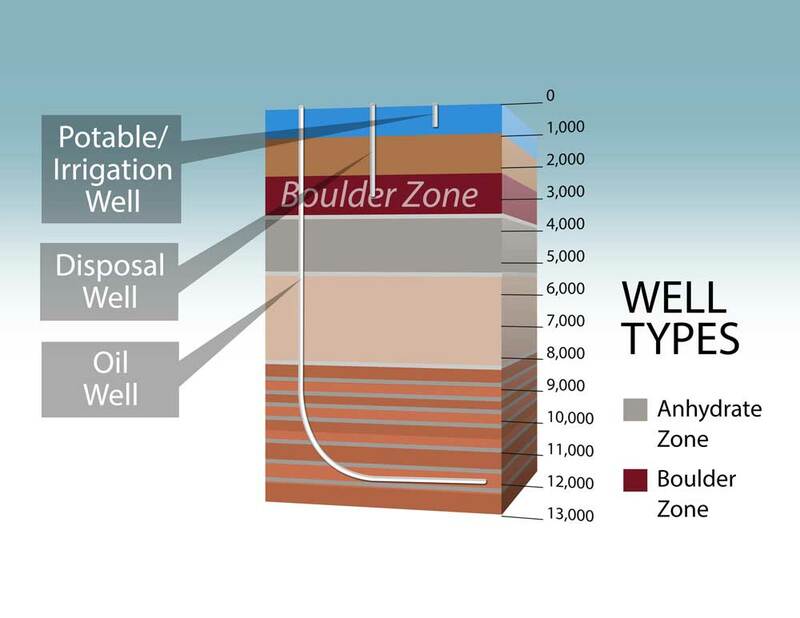 Therefore, a scenario in which injected fluids or existing oil could flow up the outside of the well casing over two miles vertically, pass through the Boulder Zone and then continue up to the freshwater aquifer, is not possible. Stringent environmental regulations also provide protection. 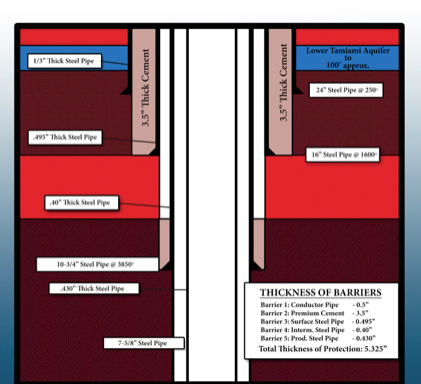 To ensure the preservation of the freshwater aquifer, a series of four, vertical, separate, protective steel casings and 3 feet 5 inches of cement surround all oil-producing wells in the region providing a 5-inch barrier between the aquifer and the oil being pumped to the surface. The brackish USDW below the freshwater aquifer, which extends to about 1,800 feet below land surface, is separated from the oil by three layers of steel casing and sealed off with additional cement. 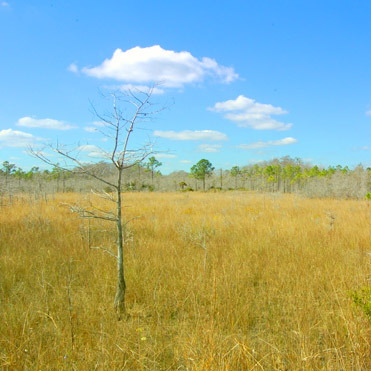 Overall, we know that Southwest Florida’s geology, combined with oversight by the Florida Department of Environmental Protection (DEP), and the procedures put in place by operators to protect and preserve freshwater aquifers and the USDW make the region one of the safest places in the United States for oil production. After the Collier-Hogan Well’s affect on groundwater resources came under scrutiny from third-party groups and some community members because of a workover procedure conducted at the well site, CRC took immediate steps to alleviate concerns and partnered with the Collier County Board of County Commissioners to retain an independent groundwater expert, Conestoga-Rovers & Associates (CRA), to test and model the groundwater surrounding the well. This study was conducted to ensure Collier County’s groundwater resources are well protected and preserved. The study and modeling conducted by CRA found that the oil exploration and development activities that have been carried out have not impacted local or regional groundwater resources. The modeling clearly indicates that neither the homeowners’ wells in the area, nor the public well fields in the county are in any danger from any possible contaminants at the oil well site. To view a video presentation of CRA findings, click here. You can also view the executive summary of the study here. Echoing these findings by CRA are the DEP’s water sampling results, which can be found here. To date, DEP has conducted six rounds of water sampling from multiple wells since June 2014. CRC requested the results of the sampling from DEP and had CRA review and interpret the results, which they found indicated that groundwater assessed in the vicinity of the Collier-Hogan well was not adversely affected by the oil well installation. In fact, no chemicals were detected that were indicative of a release from the installation of the Collier-Hogan oil well. In addition to the groundwater modeling conducted by CRA, DEP also released a report, prepared by ALL Consulting, LLC, examining whether the workover procedure performed by the Dan A. Hughes Company on the Collier-Hogan well was designed and carried out in such a way that it was not likely to result in violations of applicable groundwater quality standards in the freshwater aquifers. 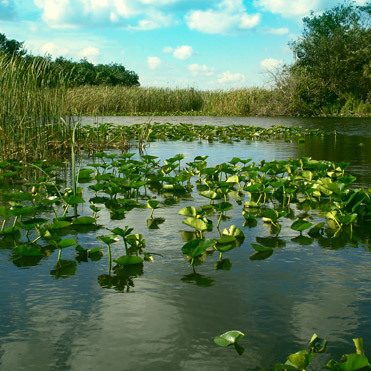 The ALL Consulting report found that the workover procedure performed on the Collier-Hogan well had no adverse impact on Collier County’s freshwater aquifers or the surrounding environment. The report also indicates that any hydraulic fracturing liquids could not have reached the underground source of drinking water. To view the key findings from the ALL Consulting report, click here.